The "gator period" occurred for me between 88-95 while I was living in the Washington DC area. I was a little home sick for Florida and I was being super exposed to good art all the time. While I was working full time, I eventually managed a compressed work week (ten hours a day four days a week). Long weekends were common. My development as an artist benefited greatly. 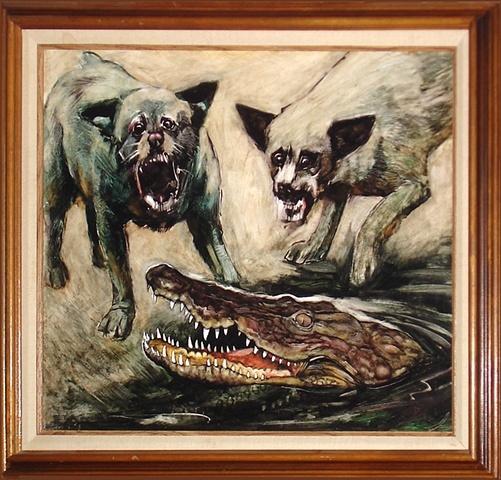 My gator paintings were an indirect expression of my growing environmental awareness. Like so many species crocodilia worldwide continue to face the threat posed by loss of habitat.